SIHH is becoming a cloudy memory, but just in time there’s yet another Swiss watch show right around the corner that goes by the name of “Basel World” – perhaps you’ve heard of it? While there will be plenty of big reveals done during the show itself, we’re starting to get word of some of the new models ahead of time. One that’s grabbed our attention early on, is this new Alpina Startimer that’s going by the name, Sunstar. 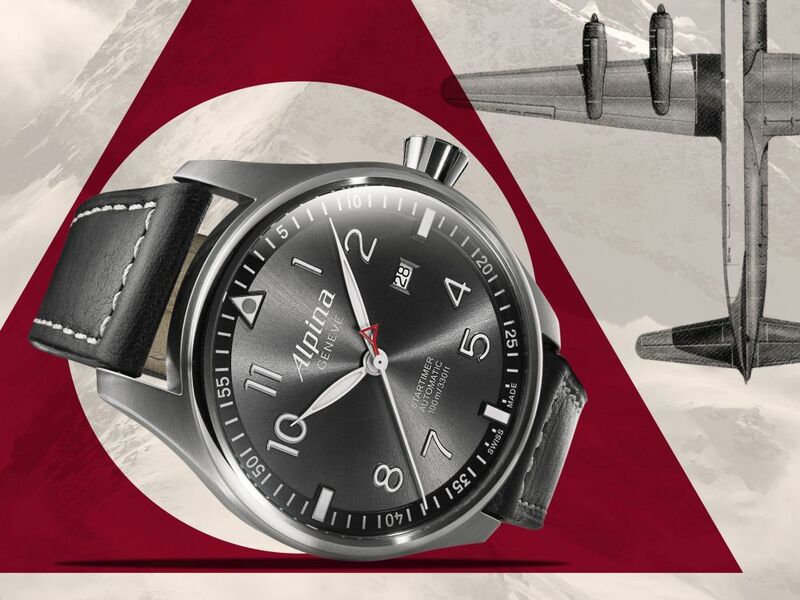 Now, if you’re familiar with Alpina, you know that they’ve got quite the range of aviation watches, stemming from the fact that they supplied watches to military aviators in the first half of the twentieth century. That means it’s not much of a leap for them to come up with a new model. While I’m not deeply familiar with others in the Startimer line, I do know that the Sunstar is a sharp-looking piece. 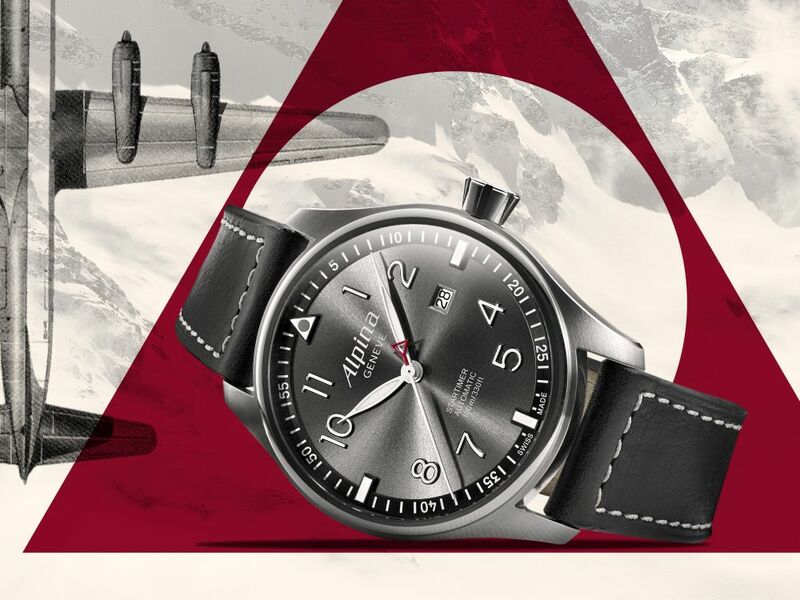 As is befitting for an aviator watch, the 44mm case is treated to a satin finish (the better to reduce reflections) and is topped with an AR-coated sapphire crystal. Under that crystal is where this watch gets its name – the grey dial with it’s sunray finish. When done properly, a sunray dial can be a sublime way to add subtle texture to a watch. You are also going to love the raised hour markers. And, when it comes to pilot watches, that’s a welcome bit of detail, breaking up the sometimes monotonous look we get from flat black dials. On top of that dial you’ve got what’s probably my favorite bit of the watch – a whole lot of applied bits and pieces. The minute ring is applied on top (along with it’s indices), as are the large lume-filled numerals. This gives some lovely dimension to the dial, meaning that light is going to play along the face of this watch in some interesting ways. Topping it all, you’ve got a handset that’s evocative of the blades of a plane’s propellers (you know, in case you forget the inspiration for the watch). This is also where the signature red triangle makes its appearance. Rather than popping in up at the 12 o’clock orientation mark (as you might expect), it instead attaches itself to the second hand. Perhaps not a prominent placement, but I’m OK with that. 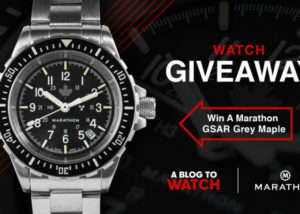 What a nice looking watch! I am sure this is going to be a very successful model for Alpina. That’s a really nice looking watch indeed. A modern and restrained update of the (a bit) too common and boring “flieger”. I like it. Nicely detailed but not overly exciting. Not a bad value though. Looks like an ETA 2824 movement with a custom rotor. Does the crown look like an “AA” symbol? Well pilots should fly sober, so why not. Nice looking pilot watch. Love the sunburst dial, the diamond crown (even the typical diamond is made different by Alpina), and surely I like their specific black rotor. 1200$ MSRP looks quiet competitive among other pilot watches. Stowa is a bit cheaper, but it has standart ETA. But why would I buy this when I can get the same thing from IWC for 5 times as much? Zeitblom Because that extra money is burning a hole in your pocket? Just send me the difference and get the Alpina if you like. 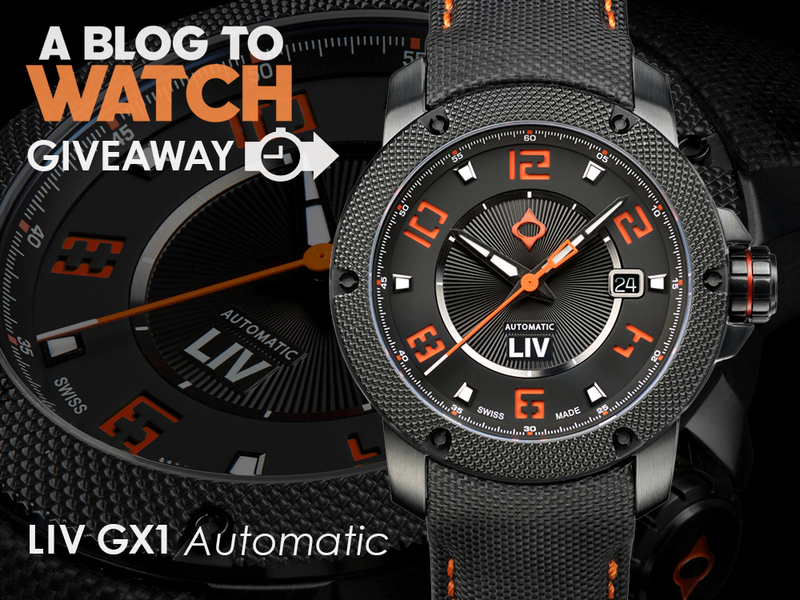 A nice looking watch for sure, but i’d rather get a Hamilton than this – the look is a bit too generic for my taste. The marketing imagery is really quite distracting – annoying actually. Nothing says tacky like superimposing a clipped out photo onto a cheesy graphic background. I’ve got nothing bad to say about this watch. It’s not swinging for the fences in any regard, but it’s not missing any marks either. Plain good looks, reliable movement, and a hint of personality. The applied Arabic numerals are well done, and the handset is properly sized in both length and width. Very very nice! But what part of “TOO BIG” is it that the watch manufacturers don’t understand? 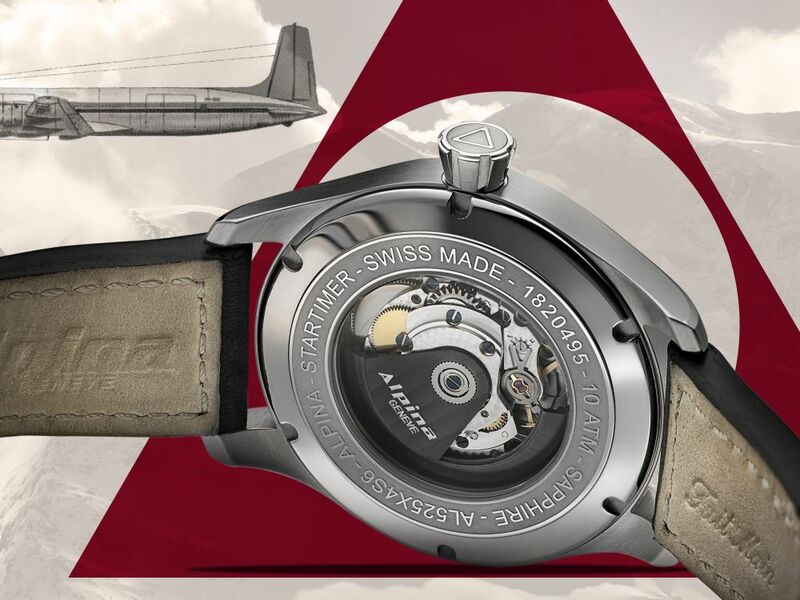 An obvious copy of the IWC Spitfire designs. … but in this case, I would buy the Alpina. This watch must be registered as a lethal weapon. The crown itself can put out eyes with little effort. Nice watch at not too bad a price. 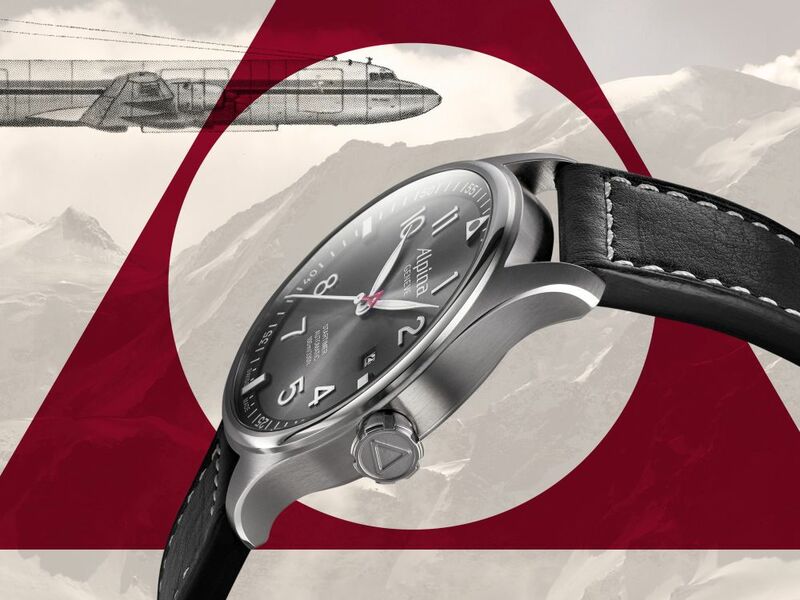 Unfortunately, unless you are an “Alpinisti” there many many other options at fractions of even this cost, with more complications and including a bracelet.